TSPSC Village Revenue Officer Hall Ticket 2018 released. Interested candidates can utilize the direct link attached at the bottom of the page to fetch TSPSC VRO Admit Card 2018. For more details, you can visit www.tspsc.gov.in the official portal of TSPSC. Go through the further section of the article to gain knowledge on Selection Process, Exam Pattern of Village Revenue Officer. In fact, you can learn about exam related information like Exam Date, Test Centre and Reporting timings from TSPSC Village Revenue Officer Call Letter Scroll don the page for more updates on TSPSC VRO Hall Ticket Release Date and Exam Date. Telangana VRO Hall Ticket Download from 10th September 2018. Hello Aspirants!! Great News for all of you waiting for TSPSC Village Revenue Officer Call Letter 2018? If so, you can relax now as you have come the right way where all your doubts will get clarified. Go through the further sections of the article to gain knowledge on necessary information such as Selection Process, Exam Pattern of VRO. However, you can obtain your TSPSC Village Revenue Officer Call Letter 2018 through the link enclosed here or from the official portal of TSPSC. Moreover, candidates are advised to keep the login credentials like Registration Number, Date of Birth in advance to get TSPSC VRO Admit Card instantly. Stick to this page for more updates on TSPSC Admit Card of Village Revenue Inspector. In general, Telangana State Public Service Commission Village Revenue Officer Hall Ticket plays a major role in the Exam Hall. In fact, the Examiner will not permit any of the candidates to appear for the VRO Exam without having TSPSC VRO Hall Ticket 2018. However, ensure whether the details printed on Telangana Village Revenue Officer Admit Card are correct or not after downloading. If found any errors intimate the concerned higher authorities prior to the Exam Date itself and get them corrected. Download the Telangana State PSC Village Revenue Officer 2018 Admit Card at the earliest to avert technical issues which might arise at the last moment. Name of the Authority Telangana State Public Service Commission (TSPSC). Job Designation Village Revenue Officer (VRO). Application Starting Date 08th June 2018. Closing Date to Apply 2nd July 2018. Hall Ticket Release Date 10th September 2018. Written Exam Date 16th September 2018. Selection Process OMR BASED EXAMINATION. Type of Job State Government Jobs. Telangana State PSC Village Revenue Officer Test Pattern 2018 present here helps the aspirants in scoring good marks. In fact, you can analyse the questions to be asked in the Exam, Scheme of Examination, Test Duration etc from TSPSC VRO Exam Pattern 2018. As a result, preparation becomes quite simple for you and you can crack the Telangana VRO exam easily. Telangana State Public Service Commission is going to organize the Written Exam on 16th September 2018. If at all, there are any changes in the Exam Date we will inform you through our page. So, stay in touch to avail Telangana State PSC Village Revenue Officer Exam Date 2018. Moreover, get your TSPSC VRO Admit Card 2018 at the earliest possible to avoid end minute complications. Telangana State PSC Village Revenue Officer Exam Date – 16th September 2018. 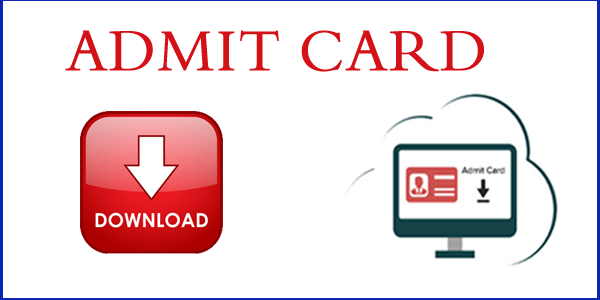 How to download TSPSC VRO 2018 Admit Card? Search for a relevant link to download TSPSC Village Revenue Officer Call Letter 2018 on the home page. Fill the required fields such as Registration Number, Date of Birth during the time of Login. Cross check the entered data and then hit the Submit Button. Thus, you will be directed to a new page showing up the TSPSC VRO Admit Card 2018. 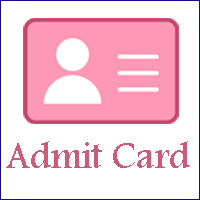 Finally, take a hard copy of TSPSC VRO 2018 Admit Card, preserve it for future reference. Hoping that the data present above as far as our knowledge is concerned has been beneficial to you to the maximum possible extent. keep checking our page on a regular basis for more updates on TSPSC VRO Hall Ticket. Also, make sure to check our portal for Rojghar Samachar of Government Jobs at the State and Central Level. I request please give me edit option.